If Ogasawara Kenji lived in different times he would be able to take the medicine he needs for his condition. Today in Japan doing so would make him a criminal. That medicine is marijuana. Ogasawara is campaigning to allow patients in need of relief legal access to the medicine which has helped him. He is one of the founders of the Japanese Association for Medical Marijuana, JAMM, a non-profit group formed for just that purpose. Ogasawara, a 34 year old Tokyo businessman, was diagnosed with multiple sclerosis five years ago. "I experience recurring problems with balance and bladder control and get very severe pins and needles, often so bad that I lose the feeling in my hands and feet," explains Ogasawara. "For a year and a half I was confined to bed and then for a further year and a half I could only get about in a wheelchair." The medicine prescribed by his doctors bring some relief from his condition but cause some severe side effects. The steroids cause weight gain, weakening of the bones leading to frequent fracturing, and, very commonly, extreme depression. "The steroids cause a very noticeable mood change, always for the worse," says Ogasawara. He knows of several MS sufferers who have committed suicide. When Ogasawara had been wheelchair-bound for over a year, one of his doctors who had heard that marijuana was useful as a pain reliever and anti-spasmodic in cases of multiple sclerosis suggested that Ogasawara go to Hawaii to try marijuana as medicine. Although wary at first, "I thought marijuana was a dangerous narcotic," recalls Ogasawara, he was desperate enough to check it out and flew to Hawaii. "A doctor supplied marijuana to me unofficially and I smoked it three times a day for three weeks," he reports. What Ogasawara experienced is something he wants everyone to know about. "I started to feel an improvement very quickly. I arrived in Hawaii in a wheelchair and three weeks later left walking with a cane." Although Ogasawara's symptoms can come and go in their severity, he is certain that marijuana is a useful medicine. »It is a wonderful alternative medicine,« enthuses Ogasawara. "It eased the pain greatly and also created a general feeling of well being. I did not experience any of the side effects that I experienced with my other medicines." Ogasawara is not alone in his experiences. In the USA, California and Arizona state ballots have approved legalizing medical use of marijuana and thousands of patients are obtaining some relief from some very severe symptoms. Harvard University medical professor Dr. Lester Grinspoon, author of two well-known books about marijuana, has reviewed hundreds of studies and patient testimonies. He has found strong evidence for a variety of medical applications of marijuana: it reduces nausea and vomiting associated with cancer chemotherapy and treatment of AIDS symptoms, it reverses weight loss experienced by many AIDS patients, it helps to control epileptic seizures, it relieves severe symptoms of glaucoma, and it alleviates muscle spasms associated with multiple sclerosis and paraplegia and quadriplegia. Experts also agree that marijuana is a remarkably safe substance with no known lethal dose and, unlike many prescribed medicines, is not addictive. While both m******e and c*****e are recognised as legal medicines in Japan, marijuana is not. Possession, supply and use of hemp was outlawed in the 1948 Hemp Control Law of the occupying US administration, and the law has not been changed since. The law outlaws consumption of marijuana, also known as hemp and cannabis, even as a medicine. The law also makes it illegal for a doctor to prescribe marijuana. It is these two aspects of Japanese law which JAMM has dedicated itself to changing. Koichi Maeda, owner of a hemp restaurant, a hemp shop and writer of several books about hemp, is another founder member of JAMM. He points out that medical studies from around the world have proved that marijuana is a very useful medicine. In fact, the plant has been valued as a medicine for thousand of years. The earliest known reference to medical use of hemp is by Chinese emperor Shen-Nung in 2737 BC "Marijuana was for a long time used in Japan as a safe natural medicine, for easing pain, asthma and insomnia," said Maeda. Marijuana is deeply rooted in Japanese history. It was used as a fiber crop in the Jomon era around 10,000 years ago and has traditionally been regarded as a symbol of purity. Even today, ropes and clothing made from the marijuana plant are used in Sumo tournaments and Shinto ceremonies, including the Emperor's coronation. While a handful of people are issued licenses by the government to grow hemp, if you are not one of these people, the attitude of the Japanese government is to simply say "No, Absolutely No!" to marijuana use. Possession of marijuana carries a maximum prison sentence of five years. The government's uninformed but fixed attitude is a source of frustration to Maeda. "The Ministry of Health says that marijuana is a very dangerous drug," he notes, "but it has never conducted research into the physical and mental effects of marijuana." Overseas studies have come down firmly in favor of medical use of marijuana but public and professional advocates continue to face government opposition. Legal change is, however, gradually being won at the ballots and in the courts. In March 1999, a US government-funded research review conducted by the Institute of Medicine (IOM) found "substantial consensus" to indicate that, for some people, the potential medical benefits outweigh its risks. The IOM recommended that doctors be allowed to launch clinical studies of marijuana so making marijuana available nationwide to patients. This recommendation was rejected by the US government. In the 1996 US elections, a majority of voters in Arizona and California passed ballots to legalise marijuana use by people with letters of recommendation from their doctors. Tragically, medical users in these and other states are still prosecuted under the federal law, and some patients have died as a result of being denied their medicine. In other countries such as Switzerland and the Netherlands, possession of small amounts of marijuana is no longer punishable. A majority of the public in the UK are in favor of allowing medical marijuana use. Even branches of governement are recommending reform. In November 1998, a House of Lords inquiry recommended that marijuana be made legal for prescription by doctors and use by patients. The government, while authorising long-term clinical trials to develop a standardised form of cannabis, rejected the recommendation. In a rejection of the current law, juries are increasingly returning "not guilty" verdicts for people charged with possessing marijuana for medical use. On July 31 this year, the Supreme Court of Ontario, Canada in a case brought by an epileptic has declared the law prohibiting the possession of marijuana unconstitutional because it does not allow for the medical use of cannabis, and has given Parliament a year to amend its marijuana law or lose it. "So," you may be thinking, "why are governments so resistant to legalising marijuana for even medical use?" An answer becomes clear when you think about the traditional perception of marijuana. When marijuana was first controlled in the US in 1937, it was portrayed as a dangerous intoxicant causing violence and insanity. Such ideas have since been disproved but the myth has endured. Politicians live in a very conservative environment and to consider any change in the drug laws would be unsettling for them. Being seen as "soft on drugs" by their parties, the media and their supporters would seem like career suicide to most politicians. 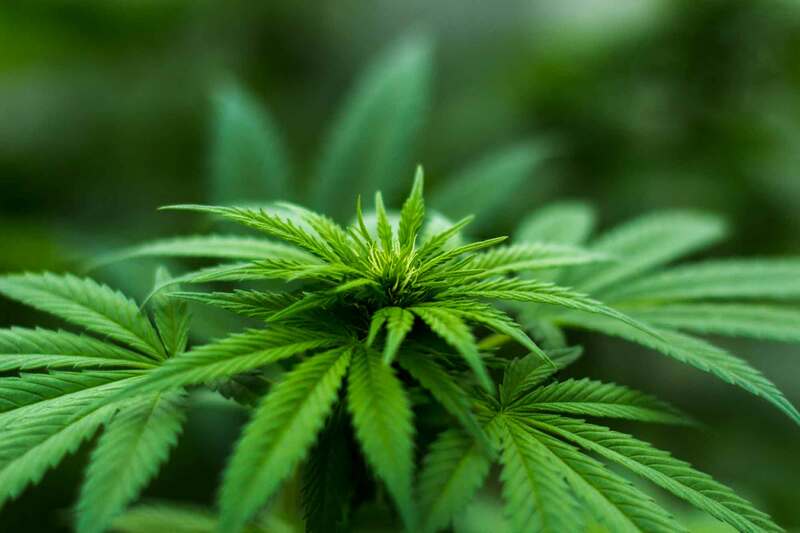 While citizens, patients, lawyers, judges, doctors and researchers around the world are calling for legalising medical use, government leaders are standing firm in their opposition. JAMM was formed late last year by a diverse group of individuals, including multiple sclerosis patients, their families, a pharmacist, a journalist, a writer, a civil rights activist, a lawyer, a ?salaryman?, and said restaurant owner. "About 2 times a month we got together and studied the applications of marijuana," said Maeda. "Through our studies we became certain of the value of medical marijuana and we resolved to change the law." Maeda points out that JAMM has several strategies to achieve its target. Central to these is to change people?s understanding of the usefulness of marijuana as a medicine. "We seek to change the law," says Maeda. "For that we need to change people?s awareness, to create real understanding, especially among the medical community. We intend to raise awareness among patients and doctors, and then the medical people will tell the lawmakers." At present, even doctors are largely unaware of the applications of marijuana. "There are only a few lines of explanation about hemp in medical university text books, so even the medical people don?t know about the medical usage of marijuana." Maeda points out that, although conservative, doctors show keen interest in the medical uses of marijuana. "We met with a doctor who is a cancer specialist. He is very interested. He is interested in any method that will do the patient good. This is the fundamental attitude that all doctors have." Some people fear that any relaxation of marijuana laws would lead to widespread abuse of the substance. However, as Maeda points out, morphine and cocaine are both prescribed for patients without contributing significantly to illegal use. "Control of medical marijuana should be the responsibility of the medical establishment," says Maeda. "It is ridiculous to ban medical use just because there is misuse by ordinary people." Maeda continues, "Patients have a right to any medicine which may have some useful effect. Our group requests that the government respond to the wishes of patients and their families to allow medical use of hemp. If the government at least opens the path to study by doctors then we think that the law will change." Maeda points to the valuable role marijuana can play in the treatment of MS. "There aren't many effective medicines for MS. No other medicine compares with marijuana and its positive effects. There is a lot of information emerging about the positive effects of marijuana in managing MS. It's not going to cure MS but it is one in an array of things that can help with it." Referring to the public perception of marijuana, "A lot of people think that it is a dangerous drug, that it is addictive. Not at all. There is no particular addictive effect." Mr. Ogasawara thinks that JAMM is a useful tool in providing accurate information. "I would like to help to change the perception that marijuana is merely a narcotic to it being recognised as a useful medical drug." He adds, "I would like to be able to take this very useful medicine in my own country." JAMM, which is currently applying for non-profit organisation status, hopes its support will grow quickly as its message reaches more people. JAMM welcome inquiries from anyone who would like to know more about the association and invites people to get involved as volunteers, financial contributors and members.